A lot of people feel like they have the weight of the world on their shoulders. This is simply not true. Even if it was, the Earth only has a mass of 6.6 sextillion tons. No Biggie. 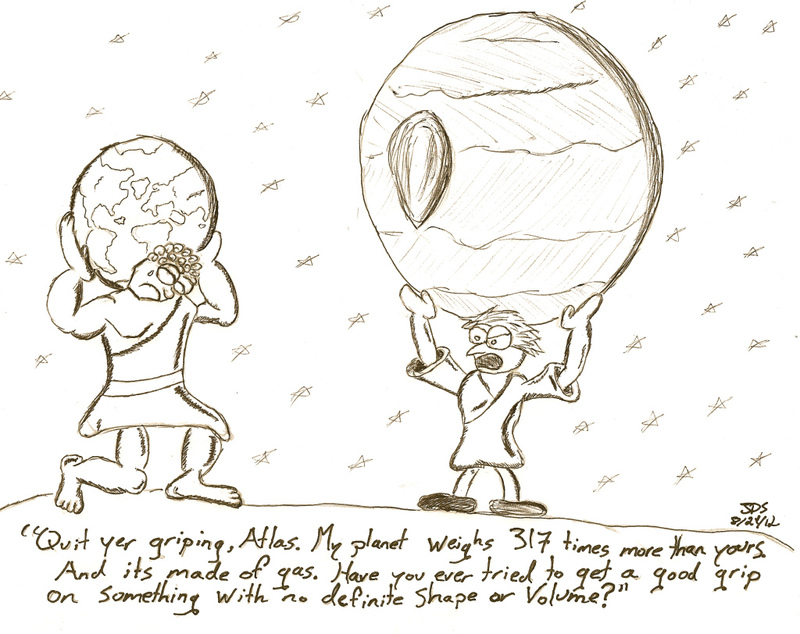 Now, for the poor person who has to carry Jupiter around, I have no consoling words.